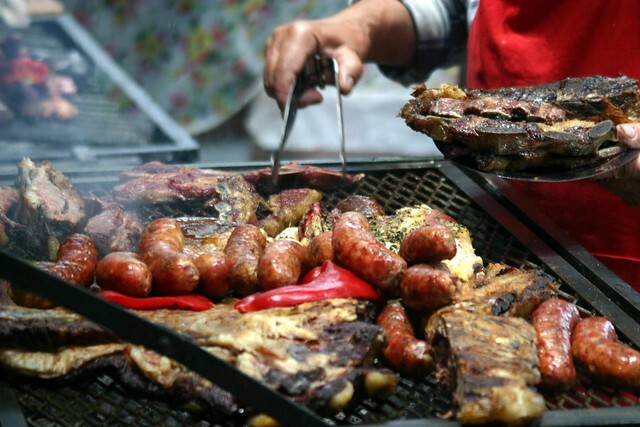 Parrilla Tour: Meat eating is mandatory for most people who travel to Argentina and the Parrilla Tour is the perfect way to do it. There are two versions of this carnivorous adventure; one takes place in the San Telmo neighborhood, the other in Palermo. Both include stops at three different neighborhood parrillas, and dessert at an ice-cream parlor (newcomers to Argentina may not know it yet, but Argentine ice-cream is the best.) The guides have interesting information about Argentine cuisine and culture, and also make sure to recommend the top cuts. More information here. Argentine Experience: This lunch or dinner experience is a great way to get to known what the local cuisine is about. The event begins with a mate refreshment upon arriving and then, once clad in chef hats and aprons, continues onto the empanada-making phase. After that comes a delicious steak and wine lunch, during which some fun and games take place, and then a mate tasting and brewing class, and an alfajor making class, all with top notch information about the local traditions. The dinner option also includes all you can drink until 11pm and free guest list entry to a BA nightclub. Places must be booked in advance. More information here. Fuudis Gourmet Food Tour: The last ten years have seen a boom in the city’s gourmet culinary industry, and not only in the realm of steak. This is the side of the city that Fuudis has set out to explore and share. Their tours include stops at various restaurants focusing on a different city neighborhood on each tour. The experience is not only culinary, it is also a fun social event and special way to get to know the city. More information here. Cooking with Teresita: Different cooking class options are offered in this bed and breakfast in the city’s outskirts. Whether it’s a short empanada lesson, a one day food tour, or a chance to make asado you’re sure to enjoy this popular option, where you will be able to cook and sample delicious food and wines. More information here. Buenos Aires Food Tour: Pick Up the Fork is one of the best Buenos Aires food blogs in ciberspace; not only is it written in English, it reviews every restaurant and food stand in the city and from a sincere point of view. Recently, Allie, the taster and talent behind it, has started offering customized food tours to cater to each travelers preference, whether it’s off the beaten path restaurants, the best closed doors, or why not, where to find the best chori. More information here. This entry was posted in Food & Drink and tagged alfajores, argentine, asado, buenos aires,, Cooking classes, culinary, dulce de leche, empanadas, Food, Gourmet, parrillas, restaurants, Steak, tours by Fierro Hotel Staff. Bookmark the permalink.